At Monfort in Belgium,find advert new and second hand Agricultural and Heavy Equipment . 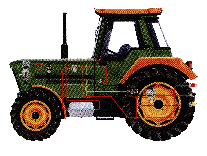 Search and find Tractor,combines forager,excavator,dozer,loader,trucks, mixer wagon general mix, from John Deere,Case,New Holland,Caterpillar , Komatsu, Cat,JCB,Hitachi, BMW. Hire and transport of farm and heavy equipment.